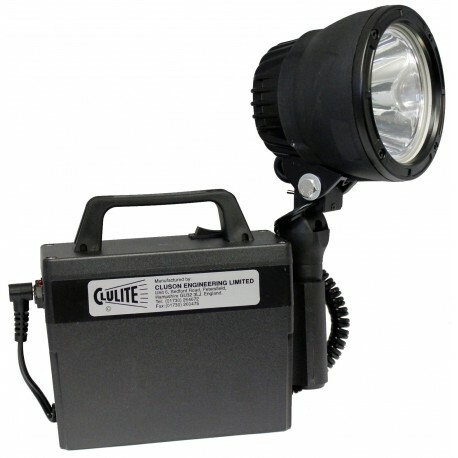 The latest LED Clubman produces an incredible 750m beam and has a waterproofed head assembly. 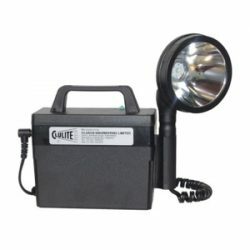 The 25watt LED Lamp is supplied with a 12v 7amp/hr power pack giving a duration time of up to 4 hours continuous. 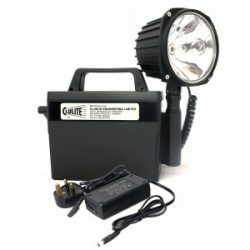 This is the brightest and whitest LED hand held lamp available on the market with an incredible beam. Yet this lamp uses less than half the power consumed by similar Q/H and Xenon type bulbs but still gives double the light output.